Up until Tuesday night, I thought I was going to be spending this Valentine's Day reading trashy novels and sipping fruity cocktails by the luxurious pool at the Intercontinental Hotel in San Juan, Puerto Rico. And then it started to snow. And it snowed and snowed, and then...our flight was canceled. After a few days of trying to reschedule flights, it became glaringly apparent that we would be spending this week here in New York. Temporarily ignoring the half-packed suitcases crowding our living room floor, Eugene and I instead scrambled to make last-minute Valentine's Day dinner reservations. I love to be in the kitchen, but I'm sure you'll understand that after having spent the past six months looking forward to a week of having other people pamper and wait on me, I sure as HECK wasn't about to make dinner. The best places that I would have loved to celebrate in were all booked, naturally, and while we considered taking a chance on a few places I'd never heard of, I finally told Eugene that I'd had my fill of disappointment this week and really didn't want to chance it. So we went for the sure thing: we made reservations at Ilili where I celebrated my birthday just a couple weeks ago. That meal was spectacular and so we decided to trust them with our Valentine's Day (and with my tender and seriously bruised expectations). If, like me, your plans fell through this year. Or if you've simply been too busy to give it much thought. Here are five great ideas for luscious desserts that are absolutely perfect for sharing (and which all come together rather quickly and unfussy-ly). 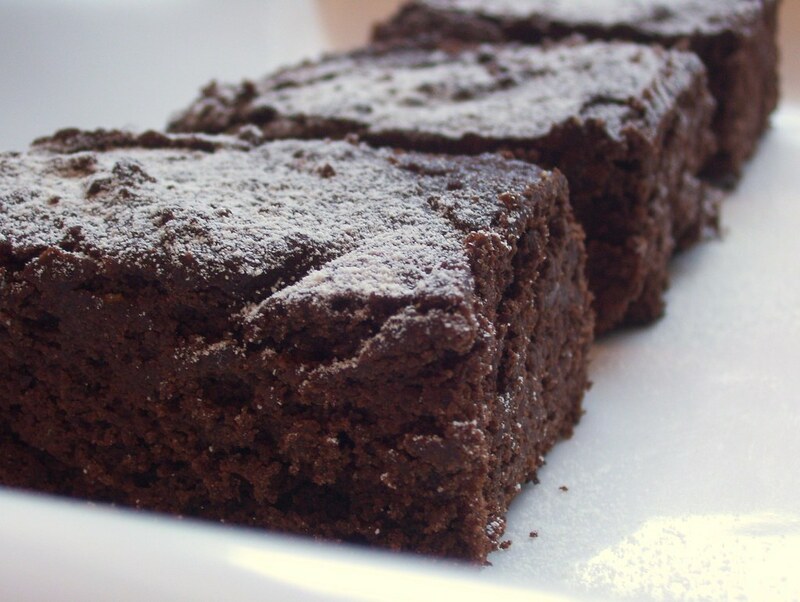 Coconut flour replaces the traditional kind in this recipe for a moist and cake-like brownie. The hints of coconut are present in every bite, and are a perfect complement to the rich dark cocoa. Serve these a little warm, and paired with a generous scoop of ice cream for a perfect sweet ending (or beginning!). These luxe and creamy truffles are a cinch to make and can be prepared well in advance. Pile a few of them into a pretty bowl and curl up on the couch to share them after dinner, or bring the bowl to bed with you. These bite-sized treats are spike with just a hint of espresso so their is no chance of anyone drifting off to sleep too soon. Get the recipe. This little cake is perfectly sized for sharing with that special someone. 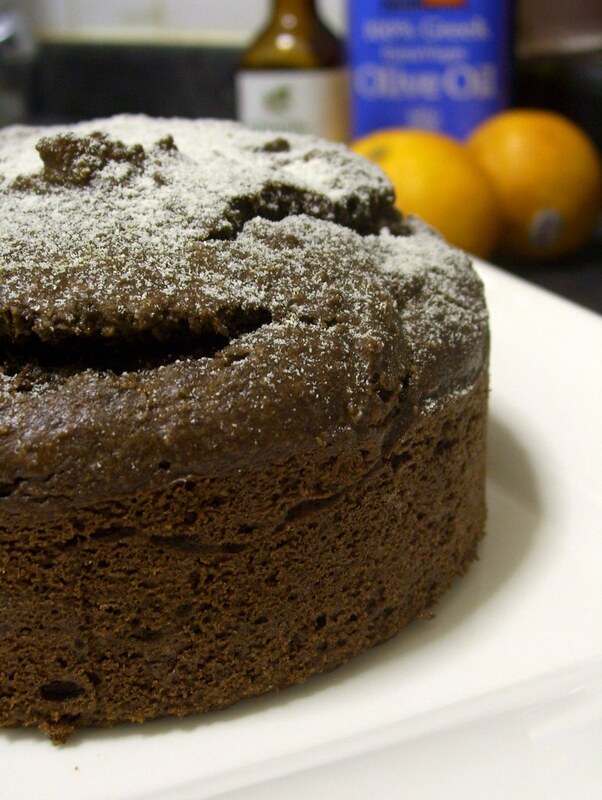 Scented with lusty hints of almond, olive oil, and fresh winter citrus, it's not your average flourless chocolate cake. And the bonus? If you're really in a hurry, you can combine all the ingredients and "bake" it in the microwave for a decadent dessert in just 5 minutes. You know, should you find yourself distracted with other things while getting the meal ready. Get the recipe. While this one does take a little bit more advance planning than the others (it needs time to freeze, after all), this cherry almond frozen yogurt can be made a few days in advance and scooped out whenever you're ready to serve. People tend to gravitate towards hot desserts during Valentine's, but sometimes I think it's nice to have a little something ready to cool things off. 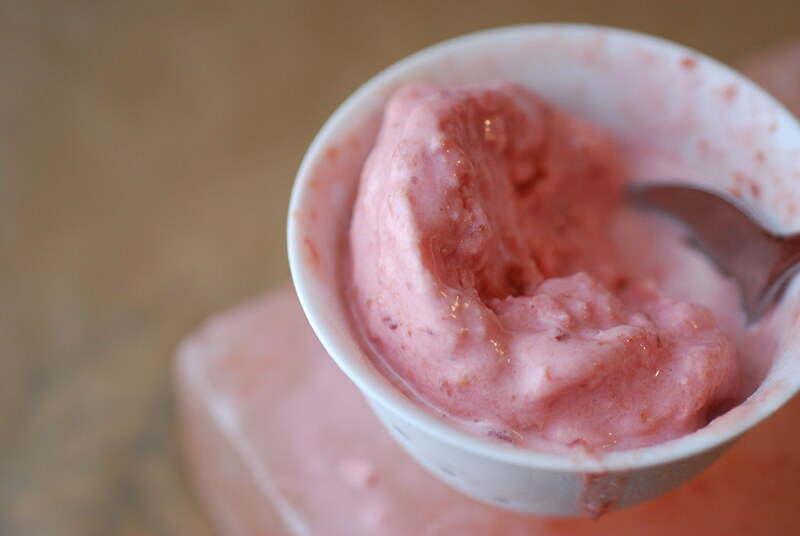 During the summer, I make this frozen yogurt with fresh sour cherries, but in the winter, frozen or jarred sour cherries will work just as nicely. Get the recipe. 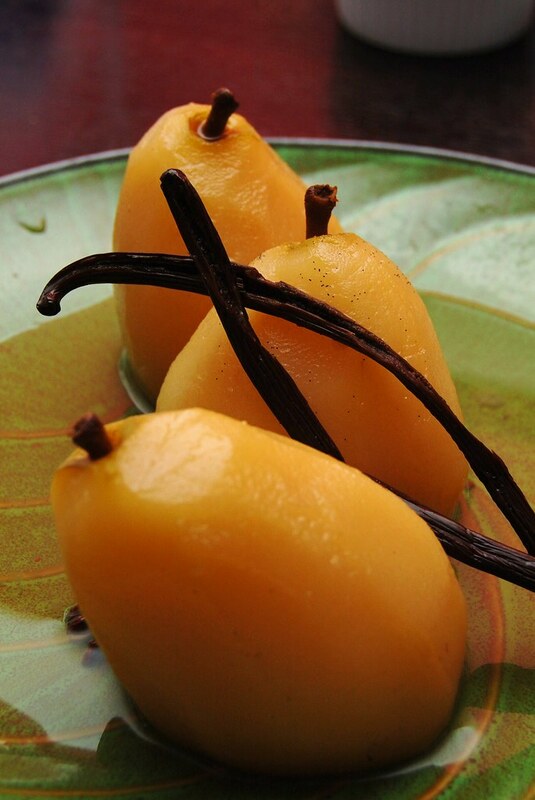 These plump little pears are absolutely gorgeous. Poached in a sultry combination of white wine, anise, and vanilla beans, they settle onto the plate in a soft and quivering little pool of flavor. I like to serve them with a bowl of dark chocolate ganache to drizzle with abandon. One pear is enough to share, or be greedy and demand your own. And make sure to bring an extra spoon for the chocolate. That in itself can be quite the adventure. Get the recipe. Ummm - the coconut brownies look amazing. I clicked on the recipe link, and you say to see "Where to Buy" for a supplier of coconut flour. But I can't find this on your blog. Ideas? Thanks! Oh nom nom! Thosse pears look divine! By the way, love the red-diness of your blog! Coconut flour brownies! Who knew? Looks delicious! Sorry to hear about PR. Great desserts! 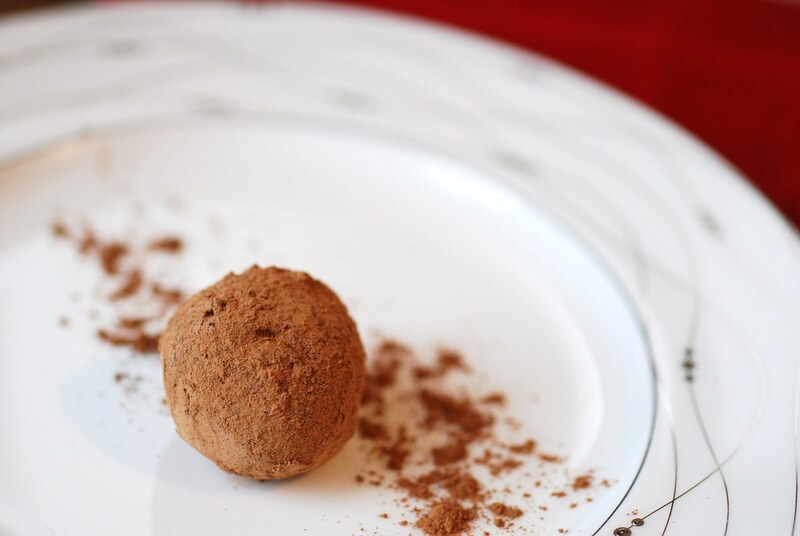 I also recommended truffles as a quick and easy Valentine's treat. I hadn't through of frozen yogurt, but that sounds super easy too. I checked the recipe and though I have ridiculous gadgets like an ice cream make and george foreman grill with baking pan, I don't have a food processor. Do you think the frozen yogurt recipe would still work if I blend the cherries in my magic bullet and then combine with the yogurt by hand?